The Government has now released its analysis of Auckland Council’s business plan for the Queen Street Rail Loop. The response is somewhat pessimistic and the headline is that the anticipated economic benefits are not there. The Government’s estimate of the transport benefits of the project are put at $387 million rather than the $1,319 million assessed in Auckland Council’s business case. But how coherent is the Government analysis? I have read it and it appears to be constructed on foundations of sand. The analysis is premised on the belief that we are in business as usual mode and that the use of cars will continue to increase. The greatest driver of growth is thought to be job creation in the CBD rather than the possibility that oil price increases will price most people off the road. The report considers that there will be 32,000 extra car person and public transport passenger journeys into downtown in the 2041 morning peak and bases this conclusion on historical trends. It then works out how these extra trips may be apportioned between the various modes. It did not help Auckland Council’s business case that it also presumed business as usual and a gradual increase in road usage. Essentially both the Council and the Government looked in the rear view mirror and based on past events estimated what will happen in the future. They then measured the economic benefit by assessing “decongestion benefits”. They both thought that in 2041 there would still be thousands of cars driving around and that an improved rail system will allow motorists to get to their destinations slightly quicker. But in looking in the rear view mirror they did not see that peak oil had wiped out the bridge ahead of them and that they should have made dramatic alterations to their plans. Oddly enough both reports make allowances for the effects of increased parking charges but do not make allowances for the effects of increased fuel costs. This is an extraordinary oversight. The reports ignore something that appears more and more likely, that we have reached peak oil and that the use of car will become more and more expensive. The phrase “peak oil” does not appear in either report. 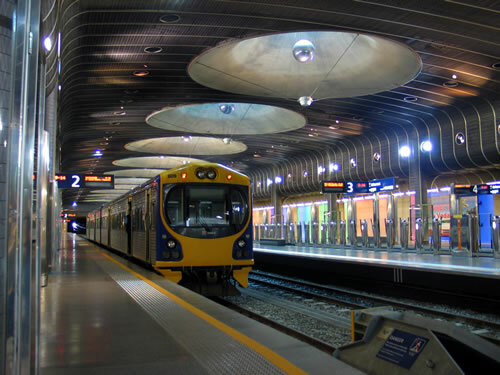 The inner city loop has one significant advantage over other transport projects that it relies on electricity and not fuel. In 2041 there may be very little use of private cars and the rail system may be the mainstay of most of our transport requirements. When someone as informed as Dr. Fatih Birol, Chief Economist and Head of the Economic Analysis Division of the International Energy Agency says peak oil has already occurred we should at the very least design our transport systems believing this is a possibility. well done for highlighting the blind ignorance of government transport policy, and its wilful failure to take account of peak oil.